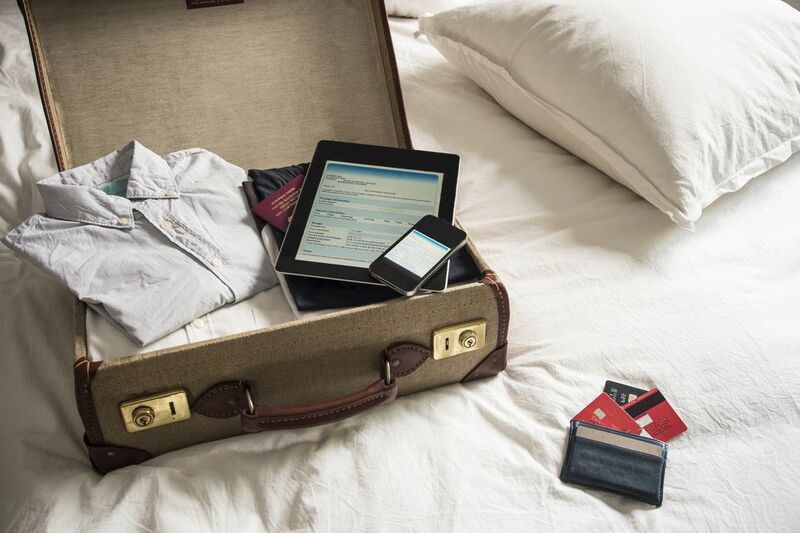 An important travel tip to keep in mind as you prep for a trip is to scan copies of all of your important documents. This is a smart idea because if you end up losing your passport or debit card, it's going to make it much easier to get it replaced. Make copies before you leave home, and stash a set in your travel journal or somewhere away from the originals. Email a copy to yourself and possibly to a friend or family member, so that you can always access them at any point. Learn about all the travel documents you may need or want, like international driving permits and more -- decide whether you will need them now because with some travel documents, like immunizations (shots) records, you may have to start early to get them before you leave. Your Passport: Take photos of the main photo page as well as any pages with visa stamps. You never know what you might need if you lose your passport, so it's best to have a record of everything. If in doubt, create a word document that contains your passport number, issue date, and expiry date, as these are the most important fields you'll need if you happen to have yours stolen. Any Visas: Take a photo of any important visas that you need to apply for in advance. It's important to have a copy and be aware of your visa number, just in case you lose your passport and have to prove that you're not in the country illegally. Airline tickets: You'll most likely have your confirmation for these online, but just make sure you don't delete these emails. You can even save all your booking confirmations into a separate folder in my email, so you always know where to look for them. If the worst comes to the worst, you can call the airline, give them your passport number and name and they will be able to find your booking and resend your confirmation, so you don't have to worry too much about losing these details. Credit or debit cards (useful to have the credit card number when calling or emailing the bank): If you lose your debit card abroad, it is much easier to apply for a new one if you can call the bank and tell them what the current number is. This is also useful if you want to book a week's worth of accommodation online using your card before getting it blocked, so that you have somewhere to stay while you wait for your new card to arrive. Driver's license, student identification card, ISIC or other picture ID: Again, it's always useful to have these things, just in case you lose them. It always makes applying for a new copy much less hassle if you have the details of your old one. Easy peasy: your next step is to email the files to yourself. You can do this whether you've scanned your documents in or taken a photo with your phone. Simply transfer the photo/scan onto your computer by plugging in your USB or SD card, then attach this file to an email, and send it to yourself. You also send a copy to a friend or family member, so that if you lose access to email, you'll be able to still access those documents while abroad. Documents you store in only one place are documents you don't mind losing, so make sure you have your copies stored in many places. Check your email account before you leave home and ensure that the documents you sent yourself came through properly. Send the documents to yourself with no subject or a vague subject, just in case my email account gets hacked, and store them in a separate folder so they're not easily accessible through the search function in my inbox. Additionally, keep a photo of any important documents on your phone and laptop, so that you'll be able to easily access them in case of an emergency. The documents can now be downloaded from any spot on the planet where you can access the the internet and your email. Print the documents out and you have copies to help you start on replacing them. Your first port of call will most likely be the embassy if you've lost your passport, or a phone call to your bank if you've lost your credit or debit card.